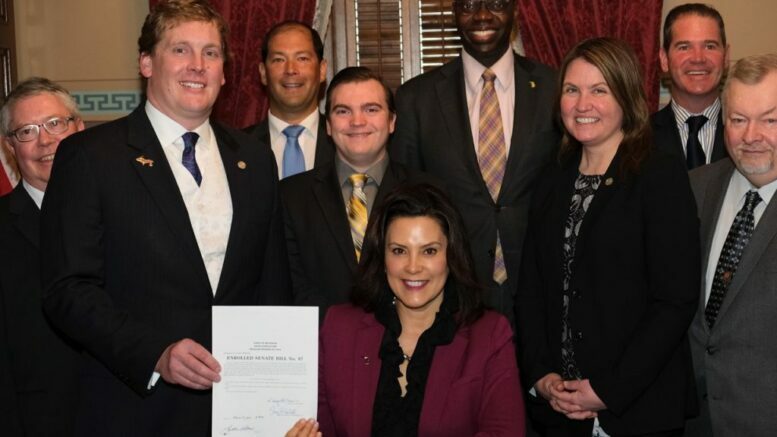 LANSING — Governor Whitmer signed her first bill into law this morning, and it directly impacts three counties in the Upper Peninsula. 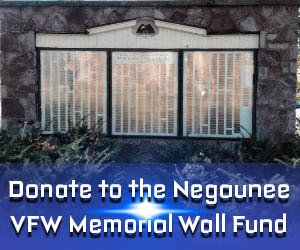 Senate Bill 87, which was sponsored by state senator Ed McBroom, was passed through both the state house and senate unanimously. The bill will amend the Revised Judiciary Act and retain a judgeship in the District Court in Menominee County, ensuring that the citizens of the county have access to the state’s judicial system. Under the Revised Judiciary Act, the judgeship was slated for elimination when the Honorable Judge Jeffrey Barstow retires on March 31st, 2019.. The judgeship was recommended to be eliminated because of the decline in case loads it received in the late 2000’s, but since then, those numbers have gone back up. And with this bill, they can now adapt to better help the community. McBroom also said that he was happy to have support from all of the Upper Peninsula representatives (Beau LaFave, Sara Cambensy, Greg Markkenan), who did a good job working on this bill, and he was pleased that the governor made it her first signing.